Lilacs have beautiful flower, and they have been grown for their lovely perfume for centuries. They populate gardens across the country. The common lilac (Syringa vulgaris) is hardy in U.S. Department of Agriculture plant hardiness zones 3A through 7A. If you live in an area where winter temperatures do not get cold, you may think you can't grow lilacs. The good news is that there are varieties that are bred especially for warmer climates. If you live in an area where frosts are mild or nonexistent you might want to try one of the special cultivars of lilac developed for a warm climate. Warmer climates can benefit from some of the special hot-summer varieties bred by the Descanso Gardens experts in California a little over a half century ago. 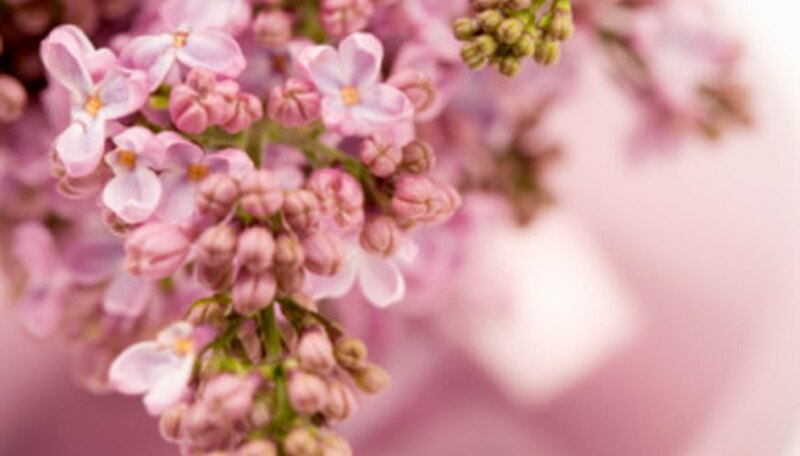 Some of these lilacs do lose a little of the strong scent for which lilacs are famous, but others still smell great and can handle the warmer climates from Southern California across to some parts of Florida. Consider Angel White, Blue Skies, Blue Boy, Dark Night, Chiffon, California Rose or Lavender Lady. Most of these hybrid lilacs grow about 6 to 12 feet tall, while some of the cooler-climate lilacs can reach tree size, at 20 feet or more. Good drainage, sun, neutral to slightly alkaline soil will keep these lilacs happy. Lilacs bloom on second-year growth, so cut them back right after flowering (if you're going to prune them at all) to allow growth for next year's blooms. If plants grow too big, snip off interior branches a few at a time over the years, so plenty of new growth shoots remain to offer flowers the following year. Do not overwater these hybrid lilacs.